Sounds cliché, but its true, children really are our future. It’s our responsibility to ensure we give them as much knowledge as we can, to help ensure their success and ability to survive in today’s world. Sustainability is a wisdom we now recognize as essential to long term survival. TWD has embraced education support as a way to give back to the communities that so generously support our charity fundraising efforts. 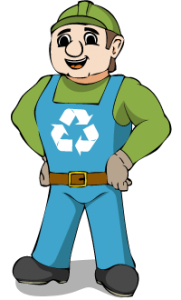 We started the journey by commissioning the cartoon character Enviroman, and creating our Kid’s Corner where small children can begin learning about the environment and recycling. We are proud to announce that TWD is now available to visit any school in Southern Ontario to share our knowledge with students. We have presentations customized for learners at every level, from elementary school to university. At the elementary school level we discuss the recycling process with kid-friendly information about the benefits for the community. We bring visual samples to illustrate our information. At the high school level we discuss the history of the textile industry in Canada and the economy behind the trade. We delve into sustainability, technological advancements and scientific breakthroughs where textile and medicine compliment one another through technical textile development. For university students, we discuss the politics of trade and corporate responsibility, we delve into globalization, resource based economic evolution, the textile and related waste industry, it’s history and evolution. Additionally, we’re currently running a really fun contest for schools. The Southern Ontario school that collects the most textile waste (by population) wins $600 towards a green initiative! Find out all the details here. 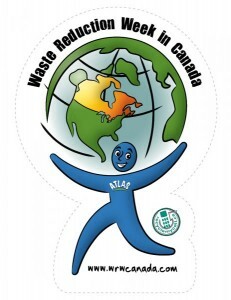 < Welcome To Waste Reduction Week!